For 2015, the SLK320 gets the more aggressive body found on the SLK55 AMG. The SLK55 AMG meanwhile, gets active bi-xenon headlights as standard. The Mercedes-Benz SLK features styling cues now familiar across the Mercedes-Benz line--this car looks much like the SLS AMG up front, which means it also looks much like the SLs of Mercedes' past. Three versions are offered for 2015: the base-level SLK250, the higher-performance SLK350 and the top of the line SLK55 AMG. 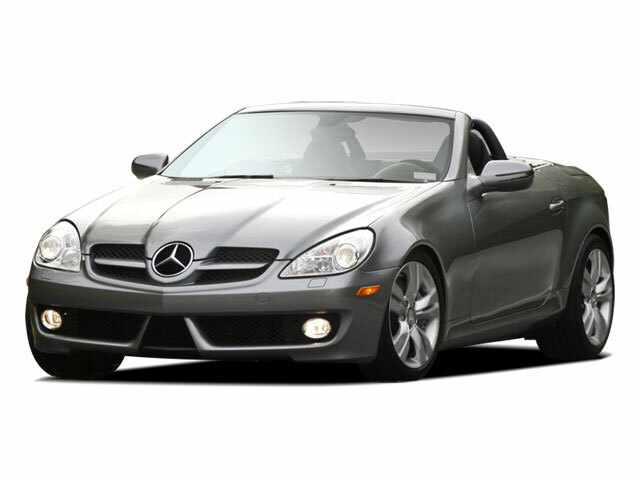 The SLK250 has a direct-injected 201-horsepower turbocharged 1.8L 4-cylinder. 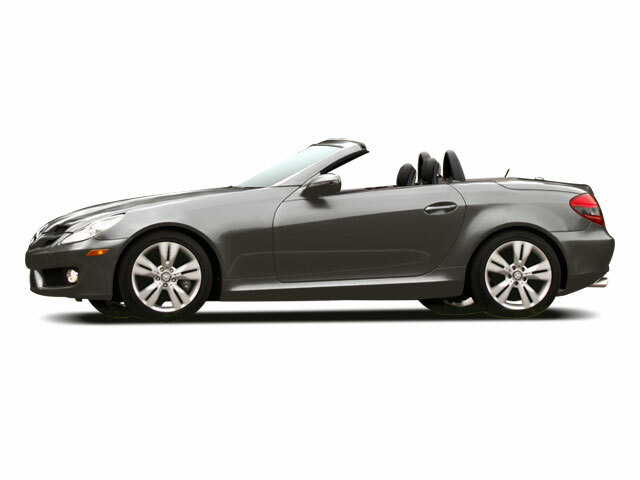 The SLK350 has a 3.5L V6, also direct-injected, which makes 302 horsepower. The SLK250 can be had with either a 6-speed manual or a 7-speed automatic with paddle shifters, while the SLK350 can only be had in automatic form. The AMG SLK55 comes with a 5.5L V8 engine making 415 horsepower. With this massive engine, the SLK55 is capable of hitting 60 mph in 4.5 seconds, giving it the performance to match some of the fastest cars on the road. Unique body work and wheels set the AMG apart from lesser SLK models, while an optional handling package further increases driving excitement. The AMG SLK55 is only available with a 7-speed automatic. Mercedes' Direct Steer is included with the SLK package, and consists of a variable-ratio steering rack that gets tighter as the driver turns from center. Mercedes' Dynamic Handling Package is also available as a special-order item, which features adjustable suspension settings and uses torque vectoring brakes to help steer the car in tight corners. Standard safety equipment includes Mercedes' Attention Assist, which monitors the driver and provides an alert if he or she is showing signs of falling asleep at the wheel. Anti-lock brakes, traction control and anti-skid are also standard. An optional Pre-Safe Brake system can apply the brakes automatically if the car detects an imminent front-end collision. Reinforced structures improve crash test performance and a host of airbags, including a headbag, help further protect both driver and passenger in the event of a collision. The standard convertible roof comes standard with a transparent glass panel, and can be lowered automatically in about 20 seconds, but the vehicle must be at rest. Available MAGIC SKY can be electronically tinted by the driver at the touch of a button. AIRSCARF continues to be available which uses a stream of warm air around the driver's and passenger's necks to help promote top-down driving, even when the weather isn't warm. 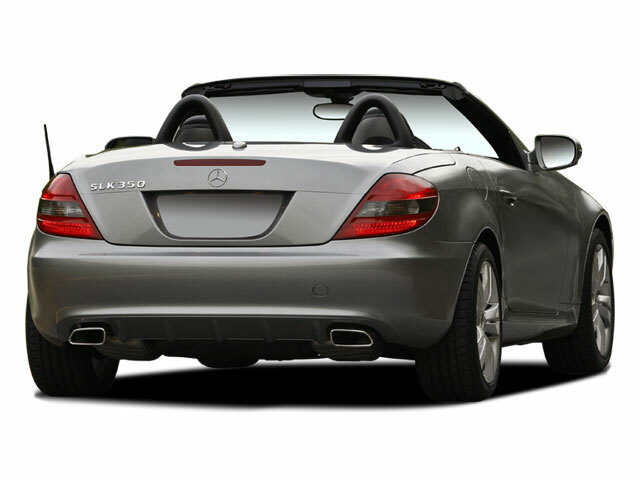 An optional AIRGUIDE wind deflector mounts to the SLK's rollbars, which helps to limit wind buffeting. Each can be adjusted independently. The Mercedes-Benz SLK takes Mercedes' concept of a small 2-seat roadster to a new level, offering high-level performance and a great selection of technological features. All this works together to give the car an excellent overall balance of comfort and performance, and for the end-user, it's arguably a more rounded daily driver than the Chevrolet Corvette, Porsche Boxster or BMW Z4 roadster. Priced around $55k, it has many of the same styling cues and a similar look to the much more expensive SLS AMG coupe.